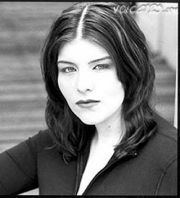 Sarah Wulfeck (born June 26, 1979), is best known as the voice of Cream the Rabbit in the Sonic the Hedgehog video games Sonic Heroes, Sonic Battle and Sonic Advance 3. Like Ryan Drummond, Sarah was fired without prior warning and replaced with the 4Kids cast of voice actors. Sarah currently works as an online news producer for the LA affiliate of CBS News. This page was last edited on 9 March 2012, at 19:02.